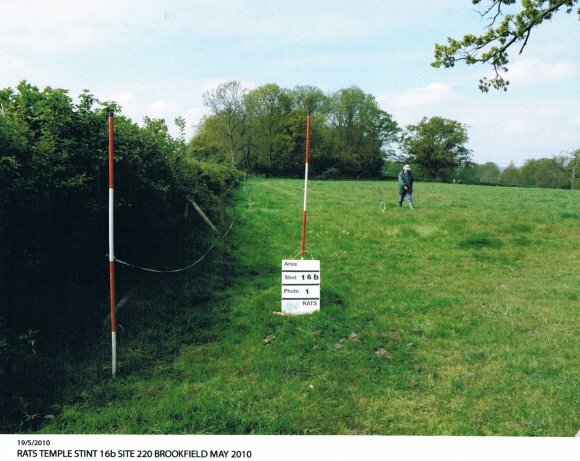 Location: Field accessed from Brookfield Farm, Hallfields Lane, Rothley. Owners: Tenant Farmer Bill Wright, Brookfield Farm. We continue along the hedgerow which mainly consists of Elm but with other species found in a boundary. The hedgerow is kept to a height where the elm flourishes and gives a good, thick barrier. 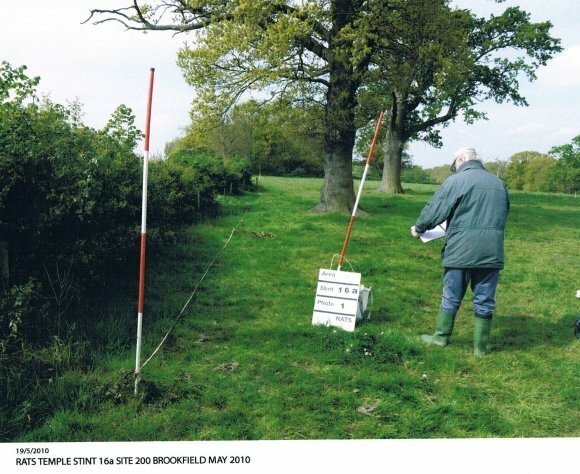 There is still old layering of the hawthorn and a good ditch on the other side with arable field stretching down to Broadnook Spinney. 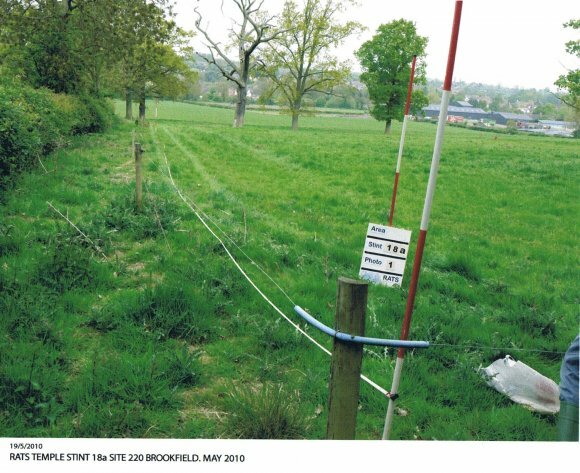 This is a good hedgerow calculated out to 400 years using Hooper's Rule. Good to see an Ash Tree that has been retained as a boundary tree. 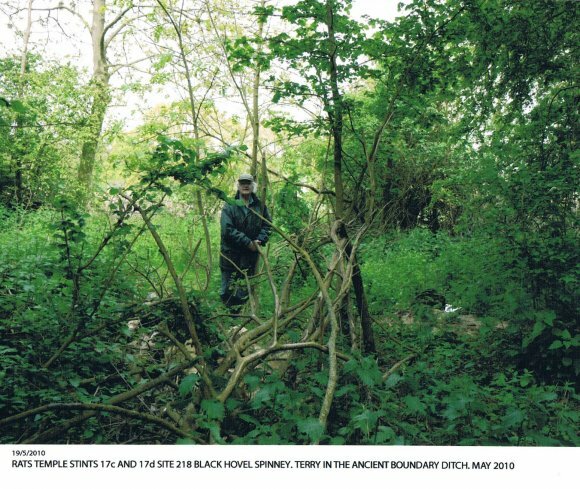 For this stint we move to the other side of the Hedgerow as we cannot easily access the major part of it in Black Hovel Spinney due to the under storey being unmanaged and rather inaccessible. The change in the starting OS reference from Stint 16 is due to changing sides. 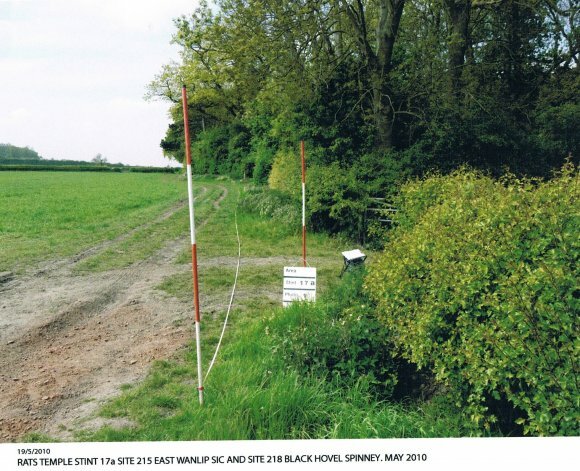 We quickly move to the boundary with Black Hovel Spinney with the same hedgerow species as in Stint 16 but with the addition of Wild Cherry. 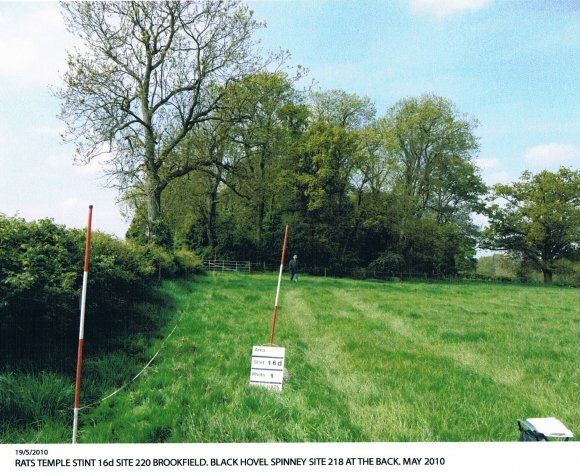 At the time of this Ancient Boundary the spinney was only a small corner planting and was extended in February 1884 as noted on old maps. 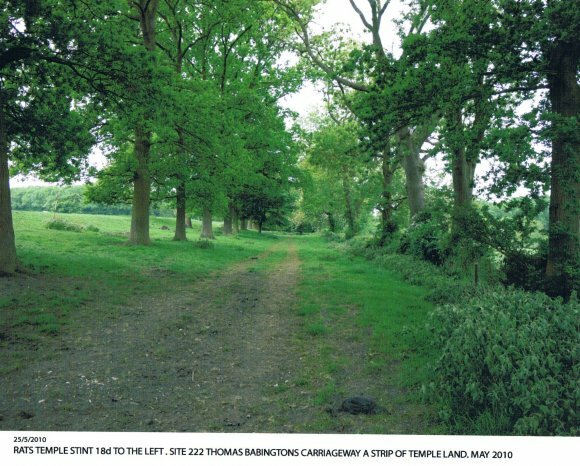 The original Temple Boundary is easy to find and there is a good Oak where we divert at SK5857511973 through the spinney and an excellent ditch still visible in this unmanaged woodland. 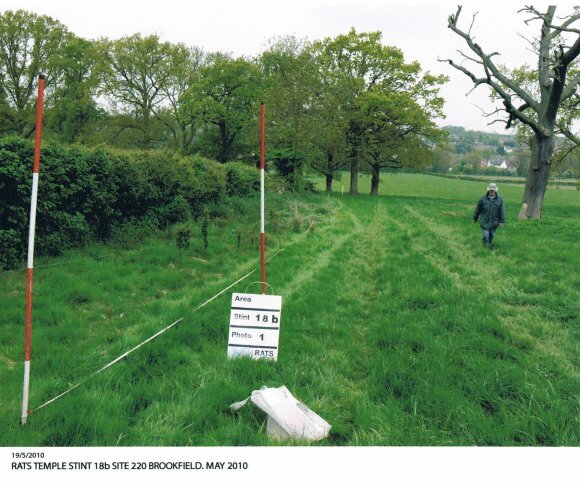 It also meets up with the hedgerow between Site 220 Brookfield and Site 223 Short Browns Ward. 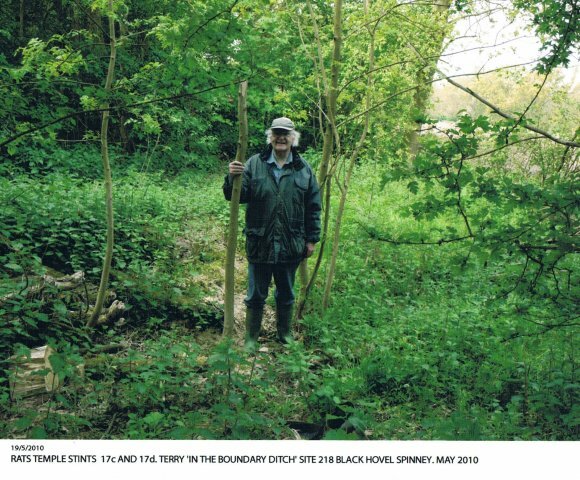 Due to the state of the spinney it was not possible to record remnants of the original hedgerow as it was all a bit of a mixture. 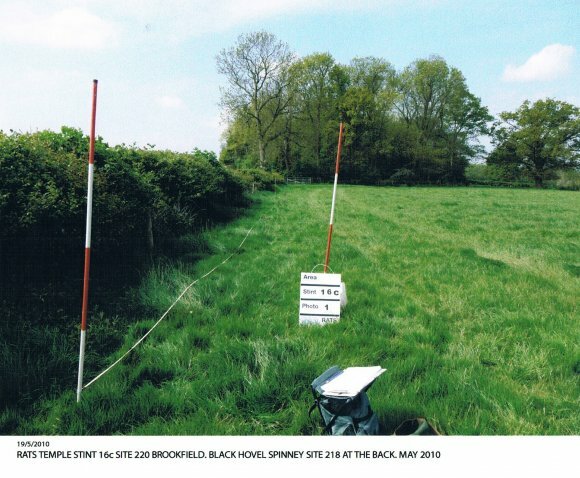 We have taken the undefined part of the stint through the spinney as Stint 17c and d.
We are back again in Brookfield after emerging from Black Hovel Spinney. 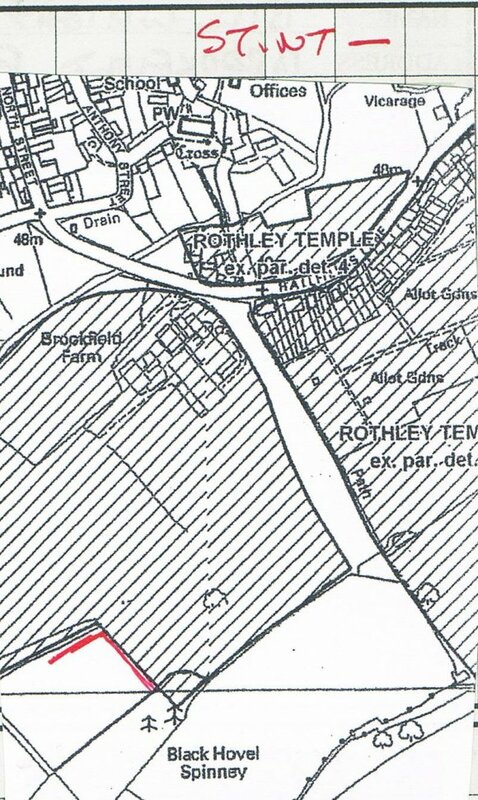 The hedgerow for Stint 18a and b runs between Brookfield and Short Browns Ward and is parallel with a ditch between. There is good, ancient layering of hawthorn and more elm. 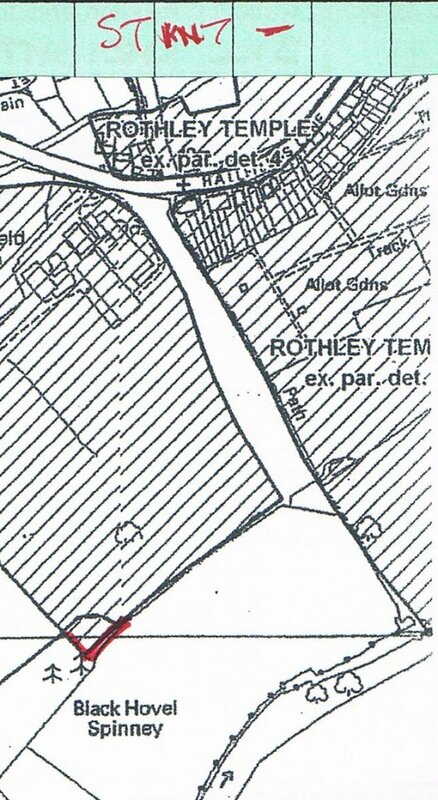 This is a good, wide hedgerow and an Ash Tree being allowed to grow as a boundary tree. Here we made a slight mistake and commenced our new day with Stint 18d instead of 18c so this stint is only 90m instead of the usual 120m. 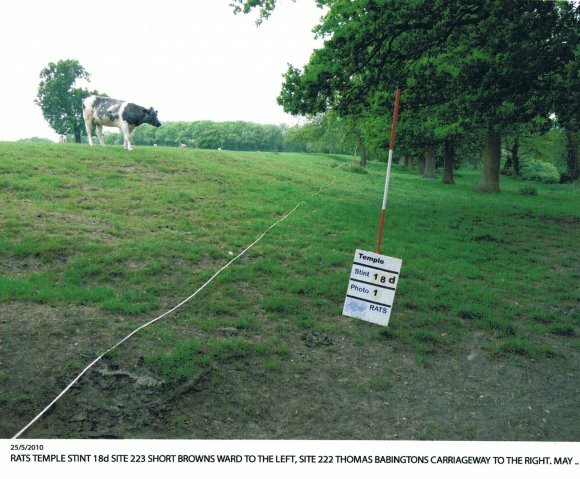 We are in a lovely area as we are working along the sides of Thomas Babingtons Carriageway, Site 222. 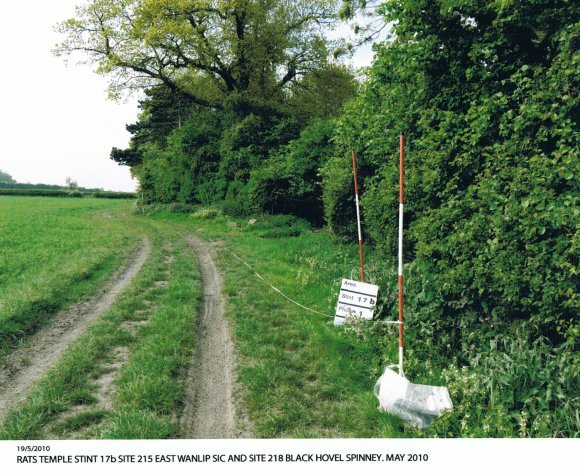 The carriageway is, at this point, a strip of Temple land connecting two fields so I have recorded the hedgerow species on the boundary of Site 224 Dye House Close although the visual recording was made on the other side with Site 223 Short Browns Ward which is at the base of the balk, or as Terry says, the acclivity. There is a lovely line of Oaks on the visual side but the hedgerow I recorded has a good number of species with large, ancient hawthorn trunks, ancient layering and a ditch on the far side. XHTML 1.0 validated. WCAG compliant. Page generated in 0.3168 seconds.